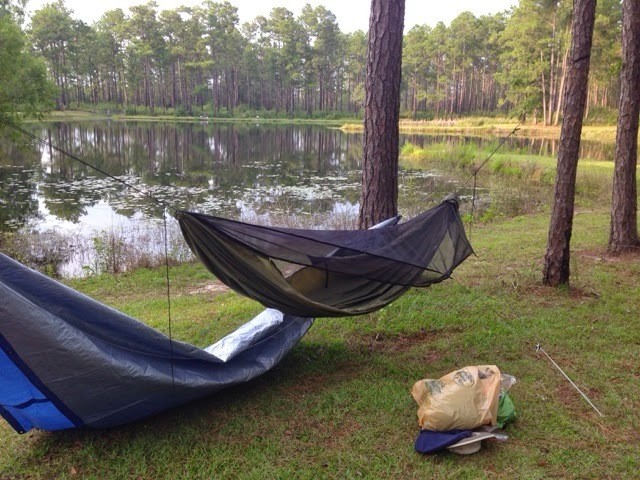 I just received my new hammock, a Warbonnet Blackbird, and I went straight out to setup it up at a local national park. I thought the rain has passed, but I was wrong. I ended up getting a good rain test in and I can say my water lines worked great and I was dry the whole night. 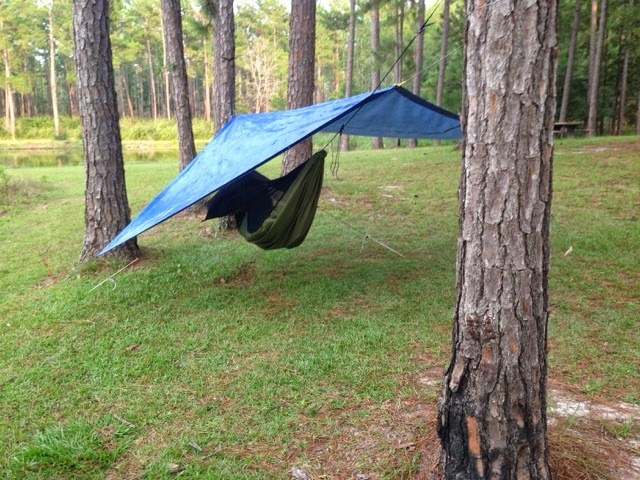 It sleeps different than the Eno, but I found it way more comfortable. But I need to work on how level the hammock is, as I kept sliding down. But it was a great night and I am looking forward to the next outing.